Dr. Walt Lowe is chairman and professor of the Department of Orthopedic Surgery at McGovern Medical School at The University of Texas Health Science Center at Houston. He also serves as the Chief of Orthopedic Surgery at Memorial Hermann at the Texas Medical Center and LBJ General Hospital. 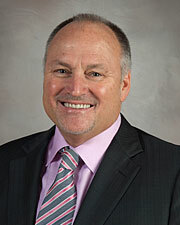 He is also the Medical Director of the Memorial Hermann Sports Medicine Institute. Dr. Lowe completed a fellowship at the renowned Kerlan-Jobe Orthopaedic Clinic in Los Angeles,California. Dr. Lowe spent a year studying under the Famous Sports Medicine Baseball surgeon Dr. Frank Jobe. The Professional Football Athletic Trainers Society has recognized UT Physicians Orthopedist Dr. Walter Lowe as outstanding NFL team physician.